High quality vacuum bonded teak deck. 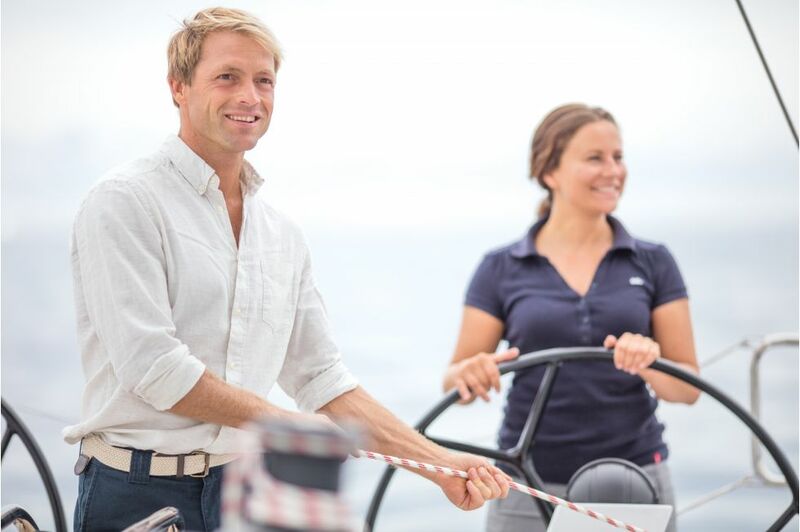 On a Dehler, great sailing comfort is part of the basic equipment. 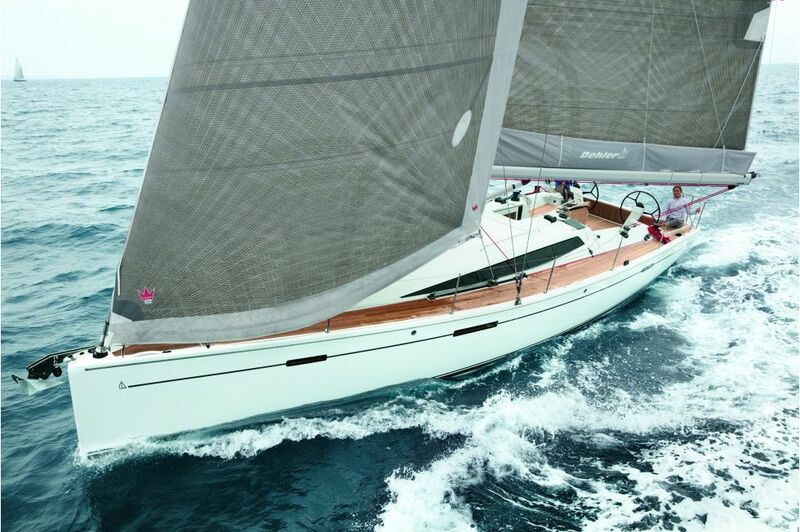 It comes, for example, with the German Mainsheet System taking the mainsheet on both sides directly to the helm. 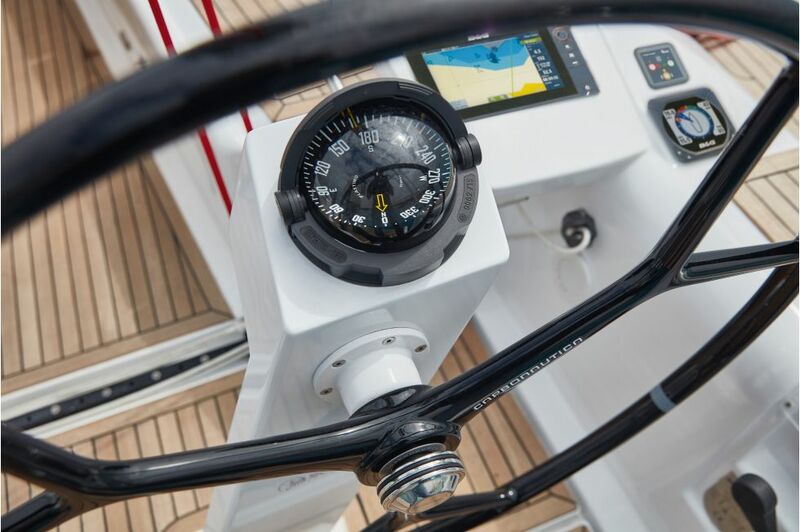 This makes sure all you need for your manoeuvring is within immediate reach. 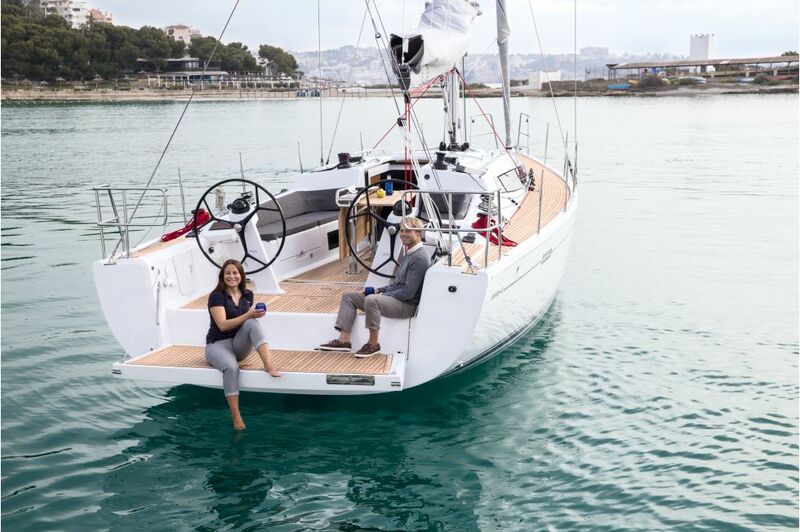 Y-spoke wheels and traveller for perfect sailing. Wide-opening flush hatch framed with vacuum bonded teak wood. 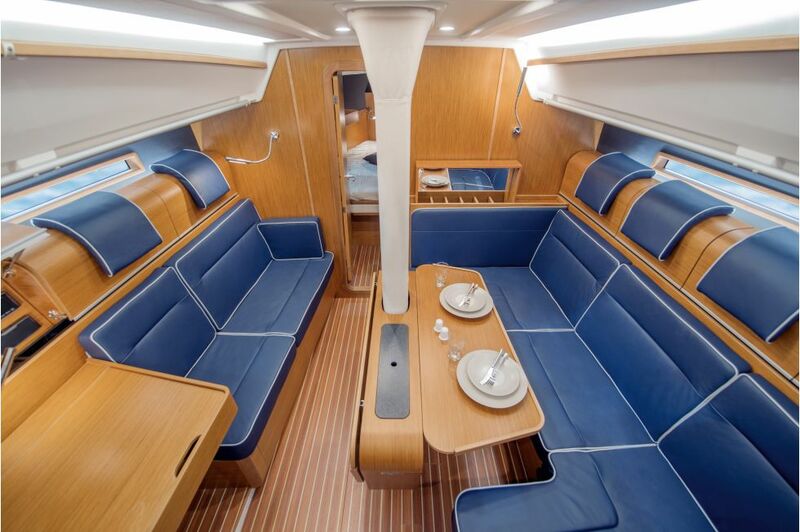 Teak-covered side deck with genoa tracks adjustable from the cockpit and openable windows for optimum ventilation. Electric anchor with remote control. 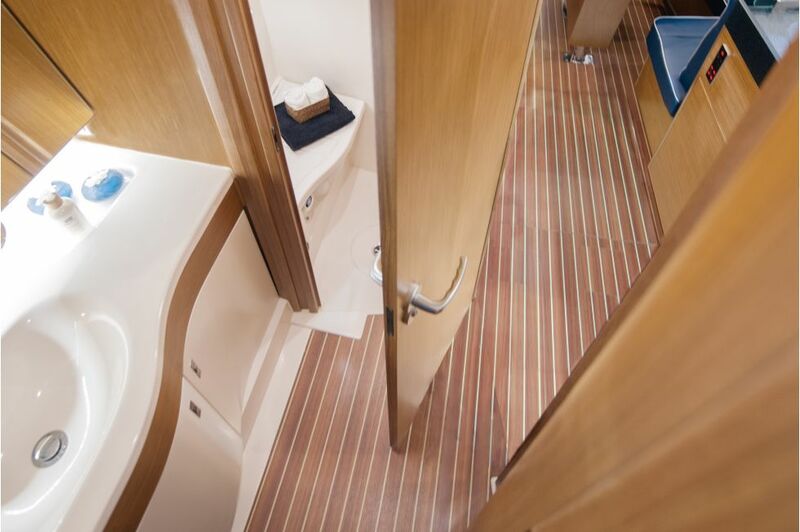 The bathing platform enhances the space on deck. 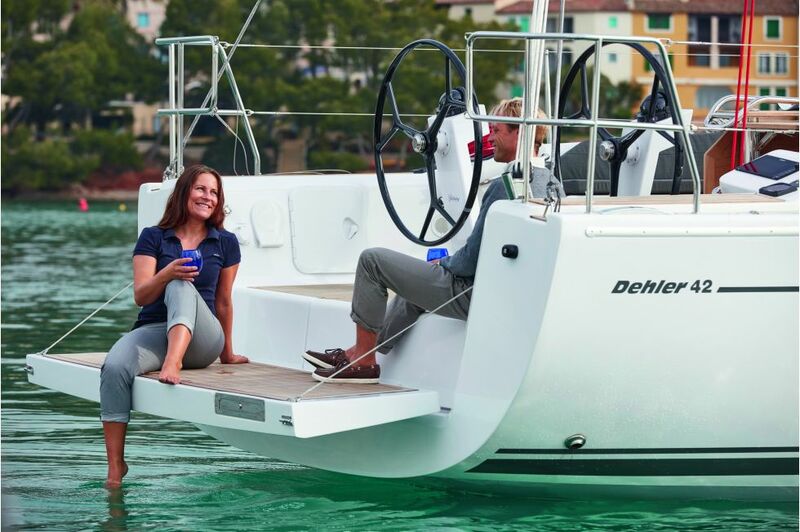 The next Dehler innovation: recessed cockpit seats give more safety when sailing. Ergonomic pod with backrest, handreeling and intelligent 9’’ multifunctional navigation display. 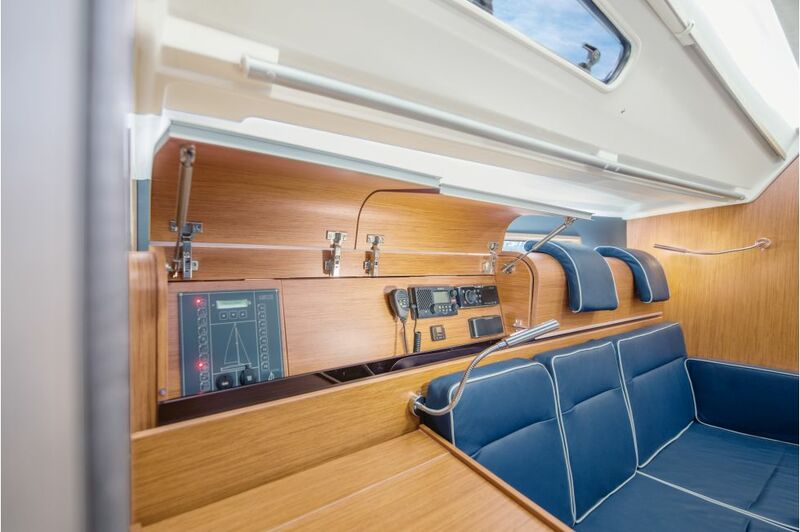 Starboard with bow thruster control, portside with sound system. Cockpit table with retractable LED-light. 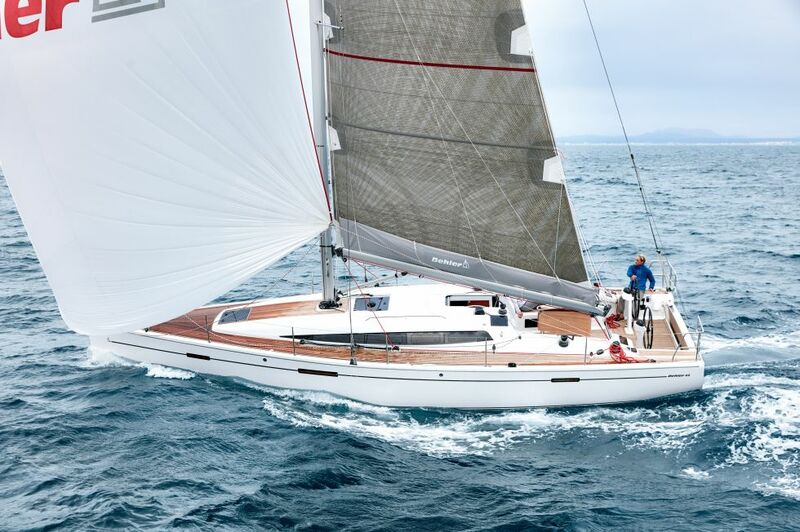 Making our rig of the high-tech material carbon provides decisive advantages: The mast is longer, lighter and stiffer than the standard alu mast. 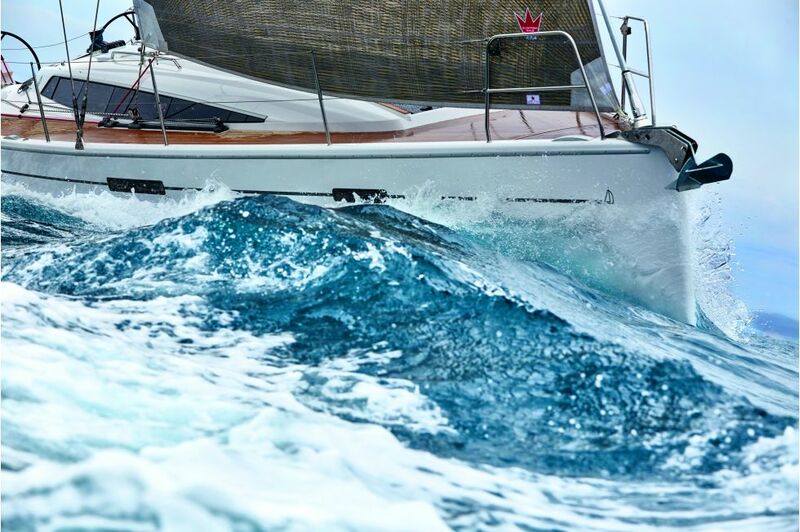 It enlarges the sail area which increases the seailing performance in rough seas and under low-wind conditions. In addition, the carbon parts are more weather-resistant than aluminium. 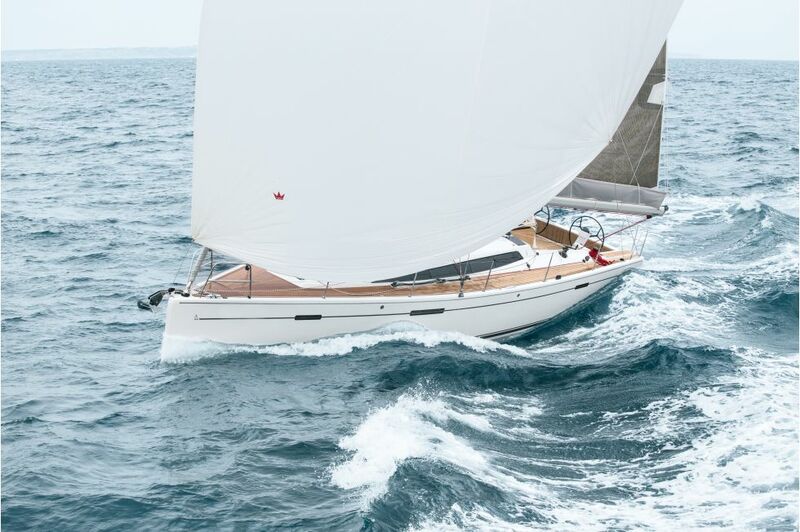 The new Dehler FREERIDE SAIL is the perfect intermediate size between genoa and gennaker, offering the largest wind range in its class. 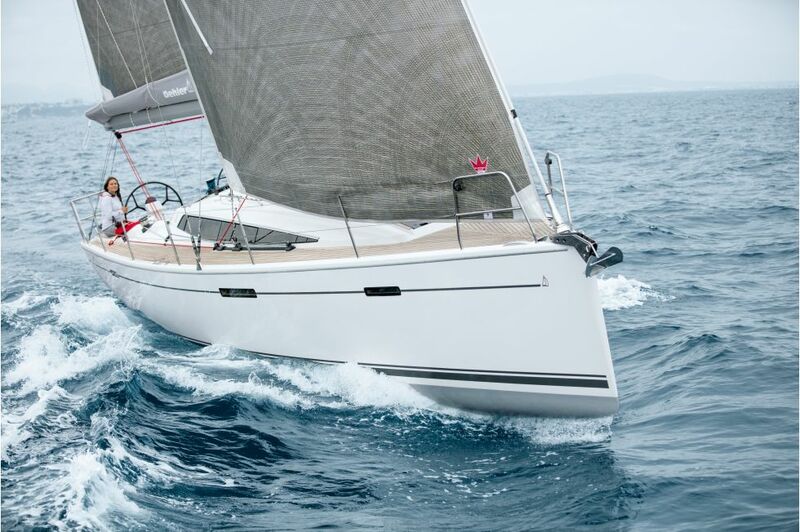 That means, the FREERIDE SAIL speeds up your Dehler, no matter if your are sailing a close reach or broad reach course. 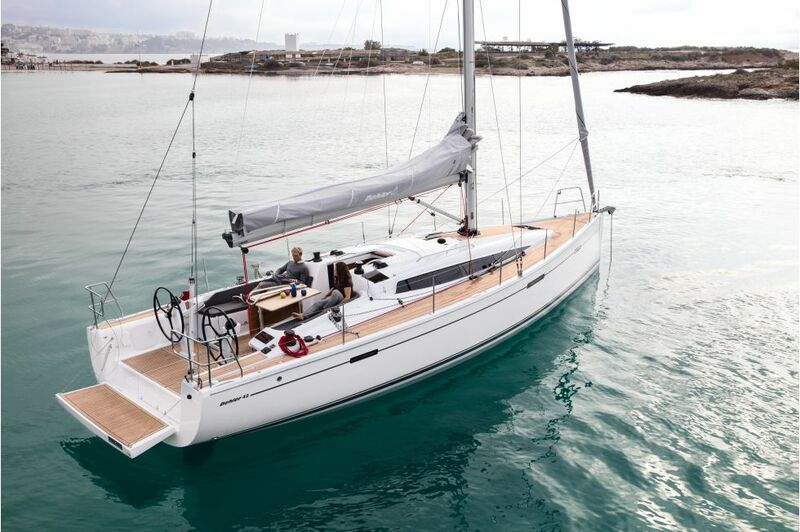 Fully optimised for single-handed sailing, it is set from the deck, coming out of a specially developed sailbag. 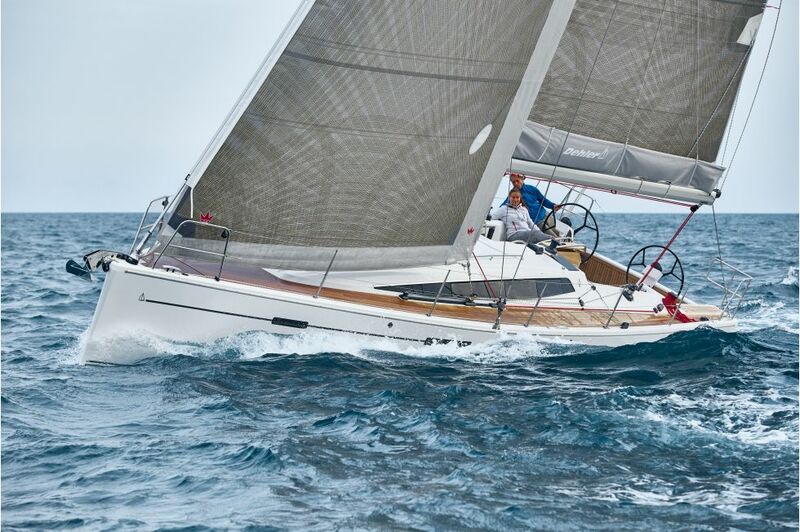 Two clicks are all it takes to fix the sail to its separate forestay. 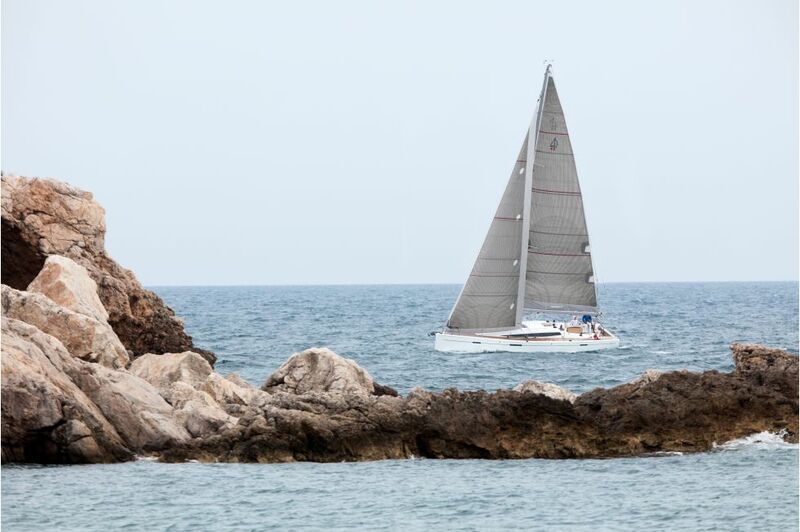 Back in the port, just keep the furled-up sail attached. 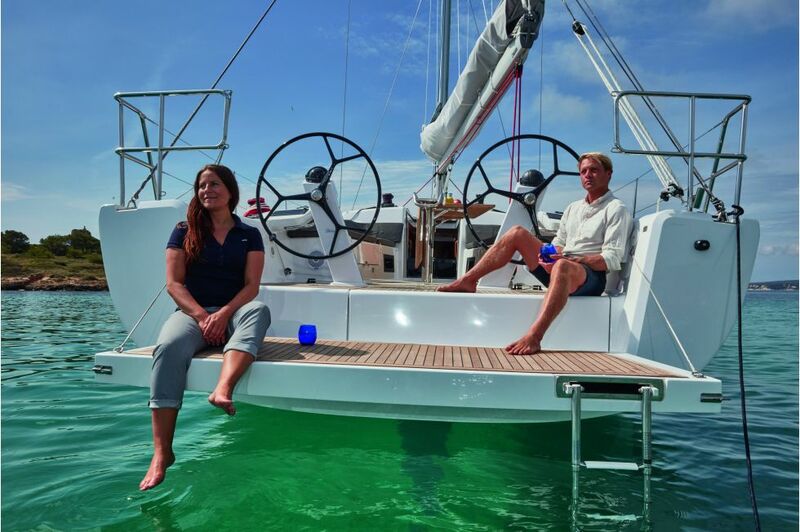 The versatile equipment options include a teak deck and the convenient bathing platform, which makes it easier to access the water and considerably enlarges the area of the deck. 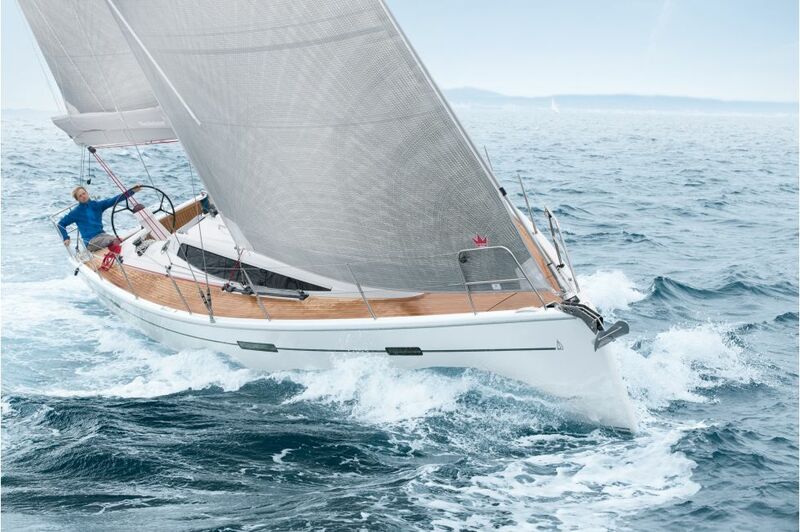 The sports version includes a carbon rig, T-speed-keel, deeper rudder, laminate sails and thus carries less weight. 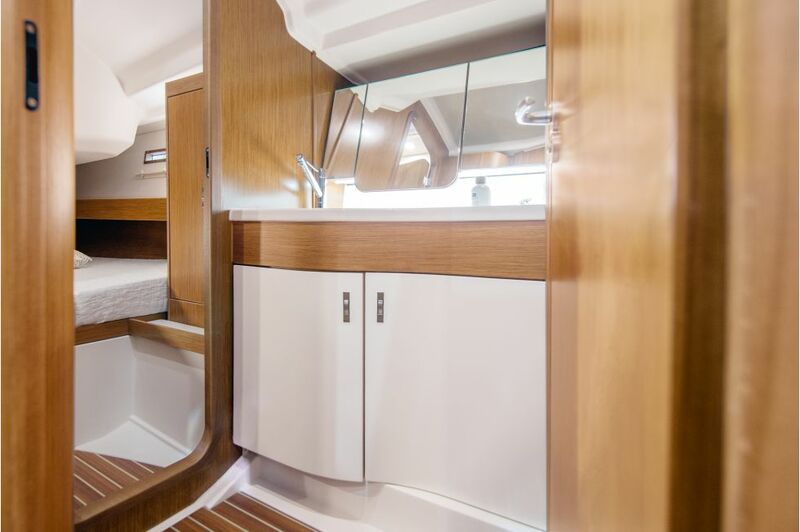 Dehler uses a state-of-the-art process to join the hull layers. After all air has been drawn off, resin is sucked into the laminate by vacuum pressure via carefully placed tubing. This technique delivers just the right amount of resin to every inch – without voids, dry or over-wetted spots. The central area of the interior provides many remarkable ways of using space efficiently. 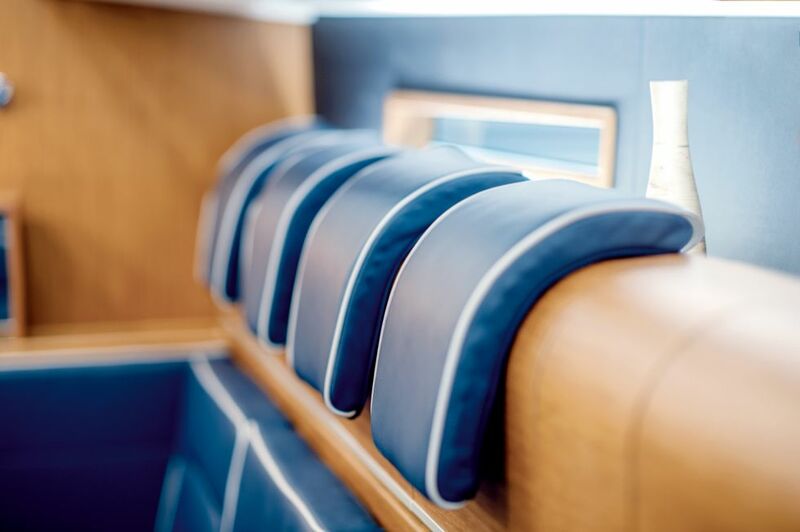 For example, the saloon cabinets with their distinctive curves open upwards in a practical fashion. Shift the chart table to increase seating space or to create another bunk. 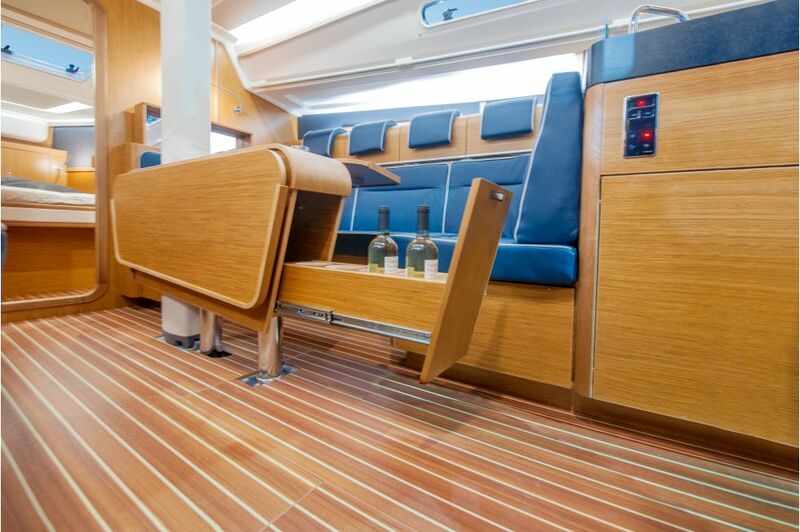 Cleverly hidden: the saloon table features a retractable bar. Large two-part sink. Put on both covers to use it as a worktop. 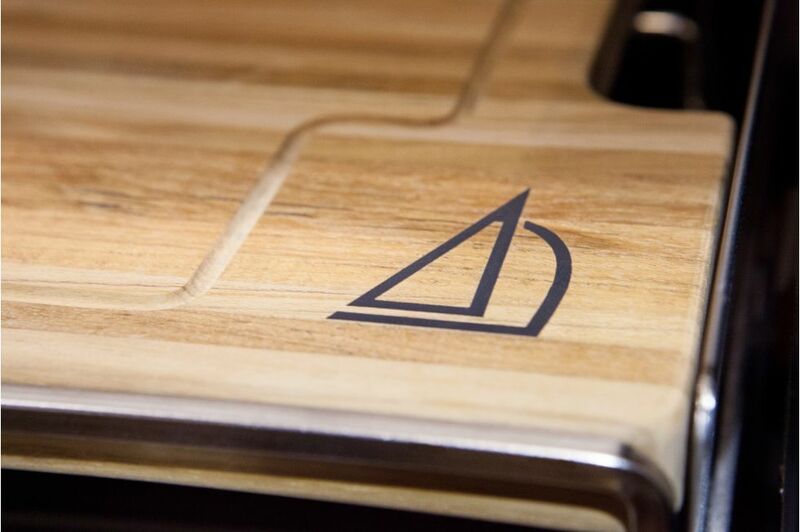 Another smart detail: wooden stove cover serving as cutting board. Fold up the seating surface and your chaise longue is ready for relaxing or a nap. Retractable TV in the saloon. 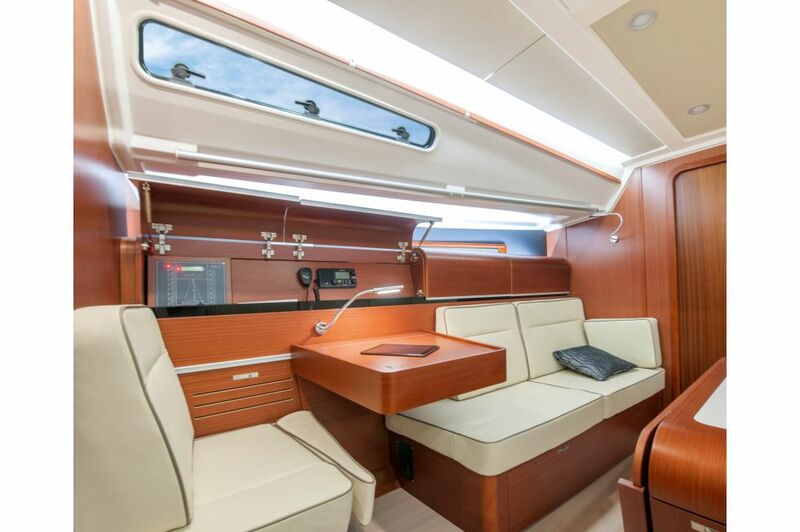 Lots of storage possibilities under the seats. 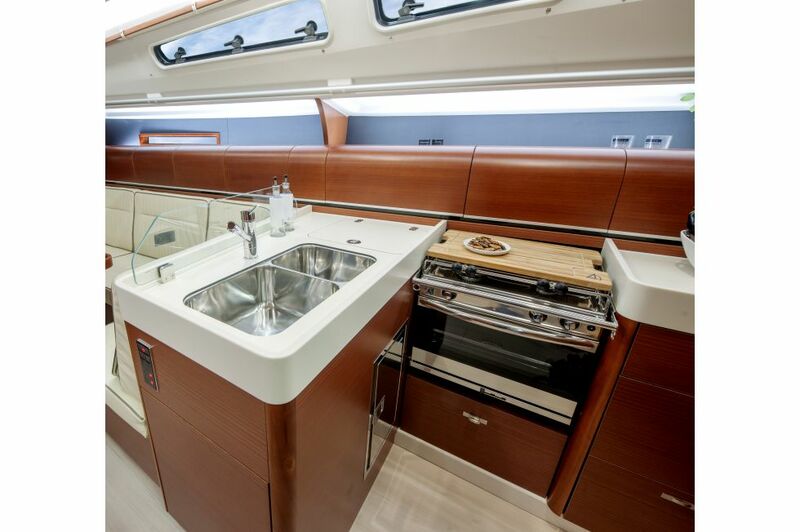 Another styling option: worktop galley in black. We are proud of our new Dehler Uni Door Concept, which always gives you a choice between two room layouts. Its key feature is having one door for two frames. The door swings open one way onto a roomy bathroom that is separate from the lounge. When the door swings the other way, it closes the shower and toilet room instead. The hallway from the wash area to the saloon is free at the same time, making the room feel very spacious. 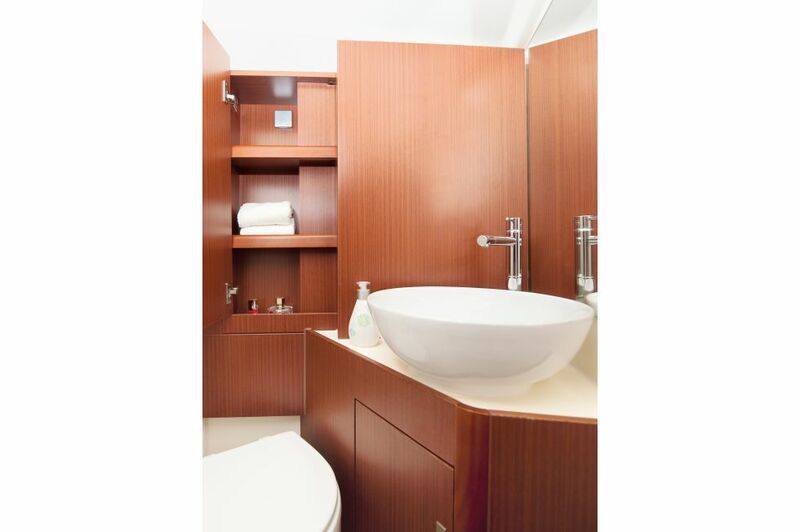 Around the washbasin, there is enough space to place all your toiletries. Put on the cover to create a full-width seat in the toilet room. 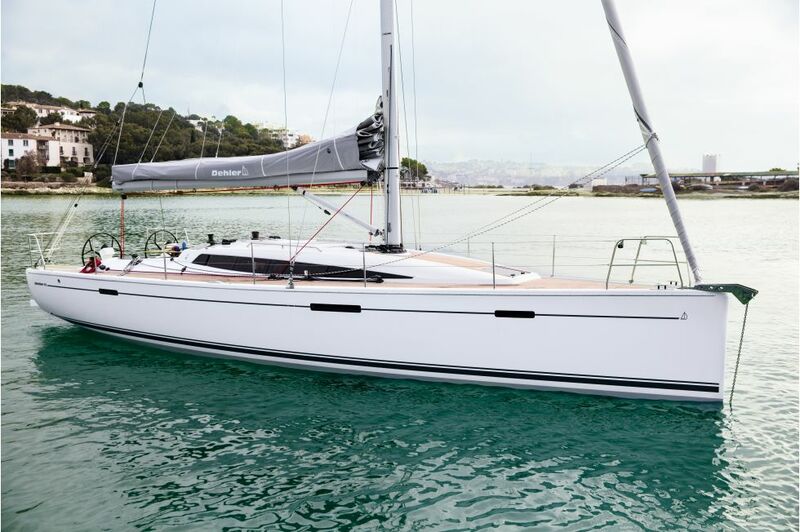 The standard Dehler 42 has a front cabin, a spacious aft cabin starboard and a large storage room portside, which can be used for board equipment or as a sail locker. 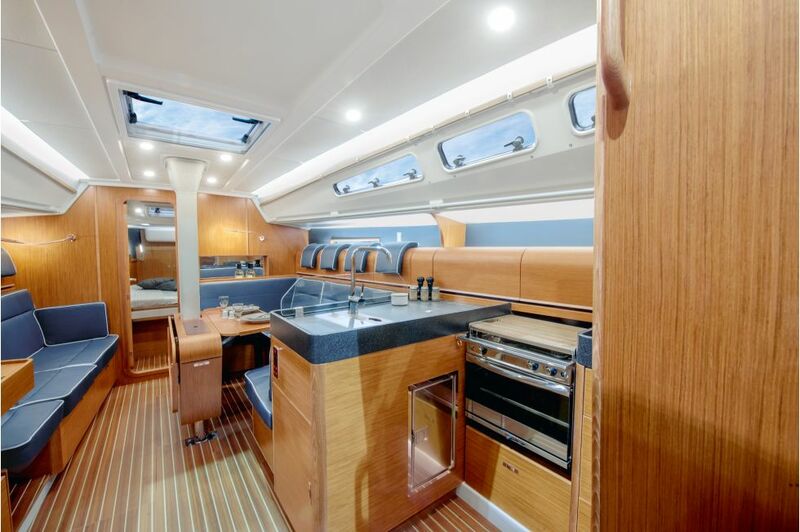 However, you can also choose to have a second aft cabin in this location. 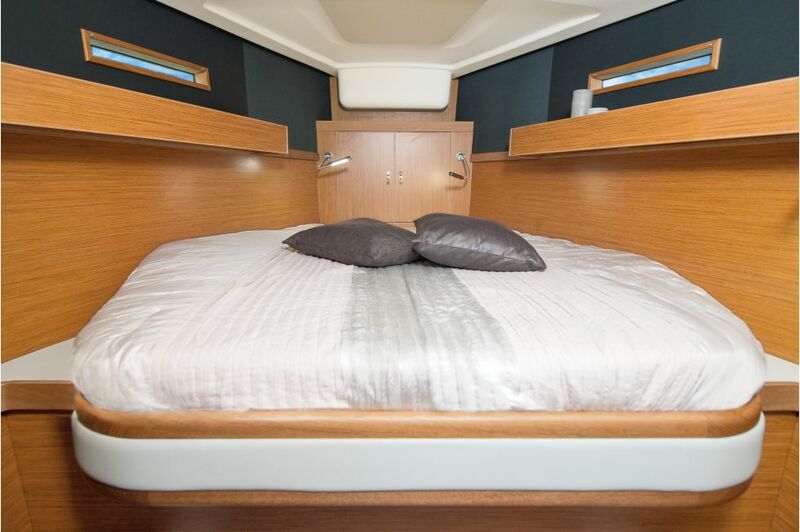 Large owner’s cabin with comfortable semi island berth and locker in front. 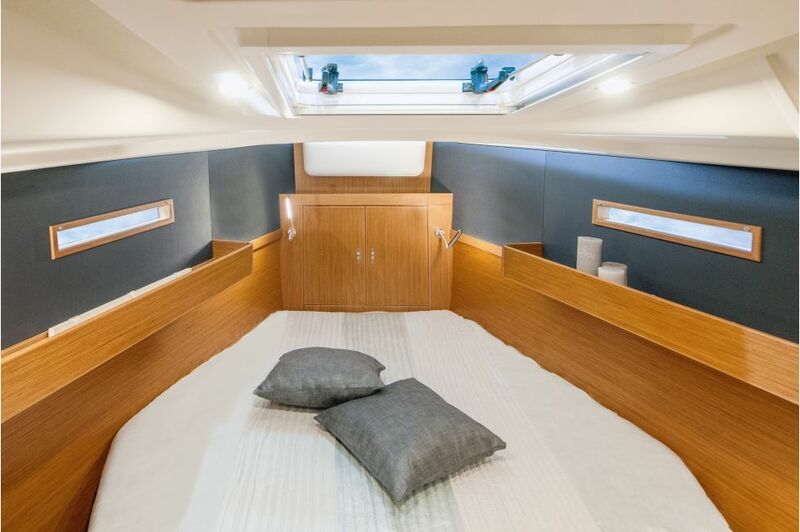 Additional spacious guest cabin on portside. 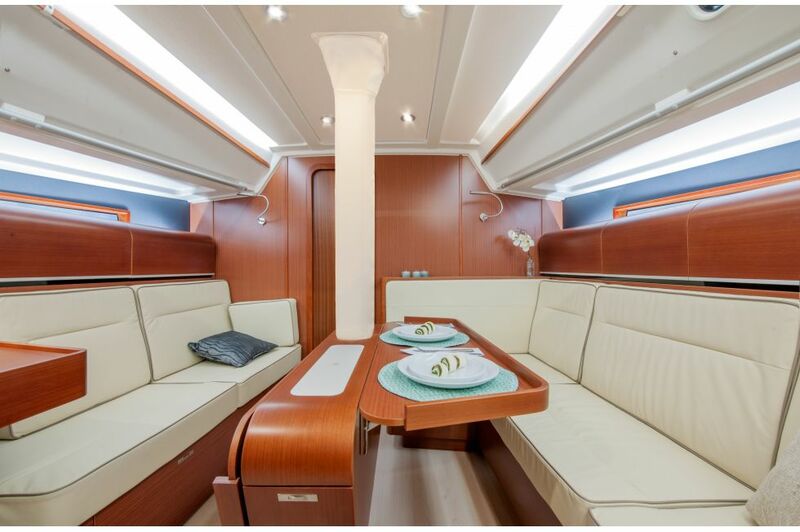 Spacious aft cabin incl. locker on starboard. 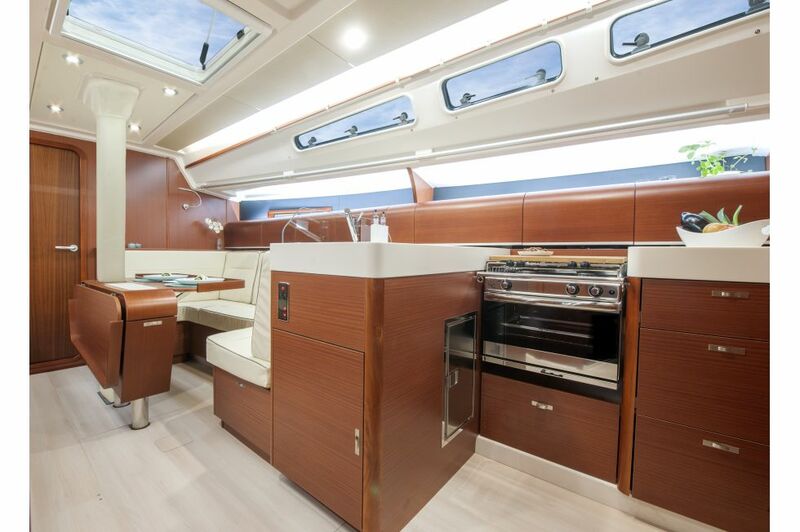 Aft cabin portside, huge storage space.